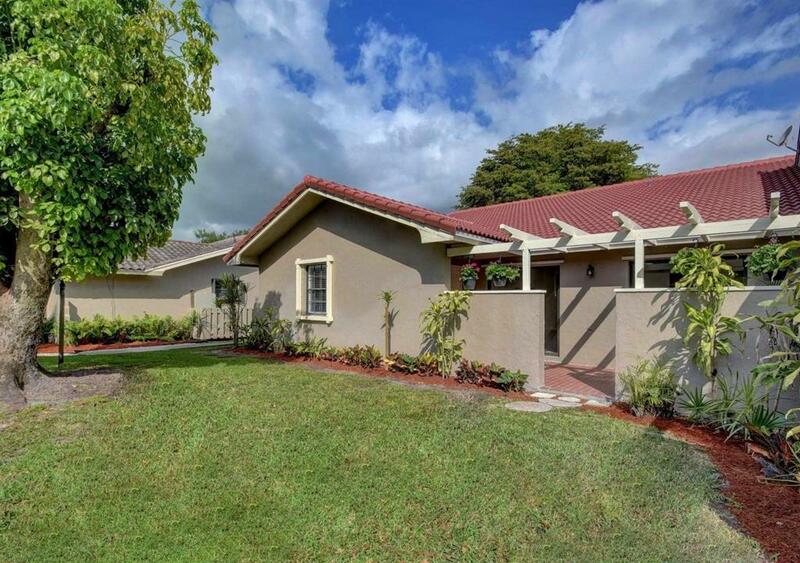 All VALENCIA ESTATES homes currently listed for sale in Wellington as of 04/26/2019 are shown below. You can change the search criteria at any time by pressing the 'Change Search' button below. "Totally renovated, tastefully appointed 2 Bedroom, 2 Bath 1 story townhome with open split floor plan, vaulted ceiling & new tile roof! Freshly painted & accented by new wood look tile flooring, window treatments, block baseboards & trim. New dream kitchen with high-end white shaker style cabinets, floating accent shelves, glass tile back-splash, quartz counters, stainless-steel appliances, fixtures & undermount sink. New A/C, front load washer & dryer. Master & guest bathrooms have also been updated with attention to every detail: contemporary style vanities, tile, lighting, fixtures, & shower enclosures. Walk to ''Field of Dreams'' park, shopping, dining, Wellington Amphitheater, & Wellington Community Pool. Great Wellington Schools! Close to showgrounds, Polo, and minutes from PBIA."